Emilie Lesbros (AKA Miss Elie). Born and raised in Marseille (France) and later in Paris, her career led her from town to town, playing her own music. As of recent she is based in New York. Lesbros worked as a vocalist and multi-instrumentalist (violinist, pianist, guitar player) in various contexts, engaging in eclectic musical projects ranging from rock, classical, jazz, electronic music, experimental, and performing art. Led by an insatiable curiosity of the modalities and sounds of the voice, and writings, Ms. Lesbros’ singing and compositions have captivated audiences and music experts internationally. Her solo album Attraction Terrestre, released on the French label DFragment/Full Rhizome in 2011 earned and received considerable acclaim and radio airplay. 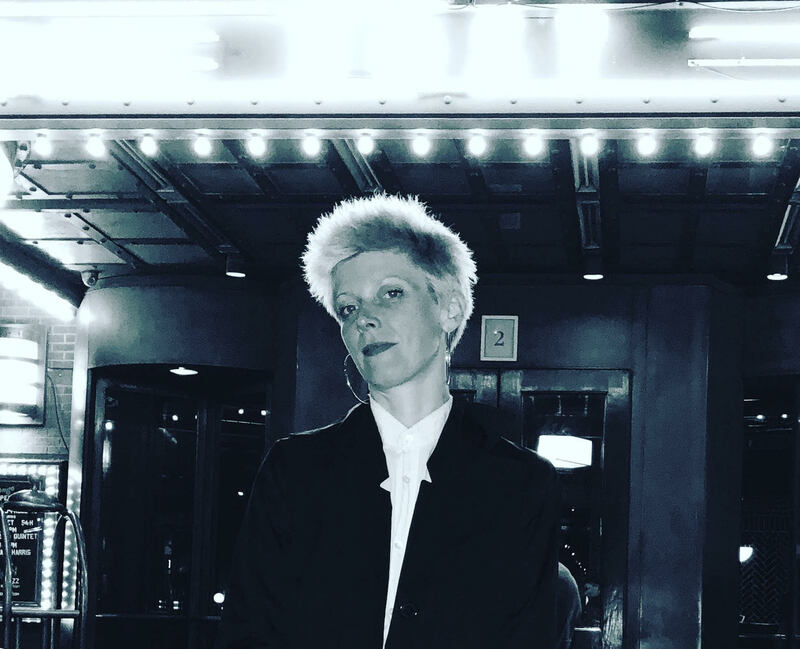 She produced and released in 2015 a new EP with her band called “Miss Elie Sorbsel Sings Emilie Lesbros”, she released the album in March 2015 at Nuyorican Poets Café. In 2000 she met the American bass player Barre Phillips with whom she collaborates since. After lots of concerts together they created the Company Barre Phillips with EMIR the collective of 8 musicians, in 2014 they created “La Vie Est Songe” a Barre Phillips’s contemporary opera where she had Rosaura’s role. When she moved to New-York in 2013 she played her songs and compositions under Miss Elie’s name, she kept her real name for performing art, improvised music and her collaborations with musicians, and play under Miss Elie’s name her own music, solo or with her band, between Groove-Punk-Soul Music. Her rock band Rosa (2004 to 2009) has toured extensively in Europe, also her band Single Room with Julia Kent and Rafaelle Rinaudo (2011-2013). In 2013 Emilie Lesbros did a collaboration with Darius Jones quartet, the saxophone player invited her to write lyrics and melodies in his music, the CD came out in 2015: Darius Jones Featuring Emilie Lesbros “Le Bébé De Brigitte” Lost in Translation (AUM Fidelity). She had played in several festivals all over the world with her own bands, and international musicians; Festival MIMI, the Human Beatbox Festival, Sunny Festival (Taiwan), the Europa Jazz Festival, Pori Festival, (Finland), Zomer Jazz Fest (Nederland), Cerkno Fest (Slovenia), Kennedy Center (DC), Jazz Fest (NYC), Vision Festival (NYC), Atlas Performing Art Center (DC), Banlieues Bleues (Paris), Jazz D’Or…with her master Barre Phillips, Julia Kent, Xavier Charles, MC Tablloyd, Boots Riley, Darius Jones, Ches Smith, Craig Taborn, Carnage The Executioner, JJ Jungle, Matt Mitchel, Benoit Delbecq, Gerald Cleaver, Bobby Previte, Marc Ducret, Les Percussions de Strasbourg…Recorded with the labels: Nato Records, AUM Fidelity, Full Rhizome, Napalm Records, Alambik Music, Clean Feed, Sorbsel Prod….She also had collaborated with the legendary bass player Barre Phillips on the score for No Man’s Zone, a documentary by ]apanese filmmaker Toshi Fujiwara that has been screened at top film festivals internationally, and had composed music for theater play. She performed as an actress and singer song-writer with Thierry Bedard (compagny Notoire), Julie Kretzcshmar (Compagny L’Orpheline), Elise Vigneron (Theatre de l’Entrouvert). Proudly powered by WordPress , realized by osterx with elegant grunge theme of Michael Tyson.